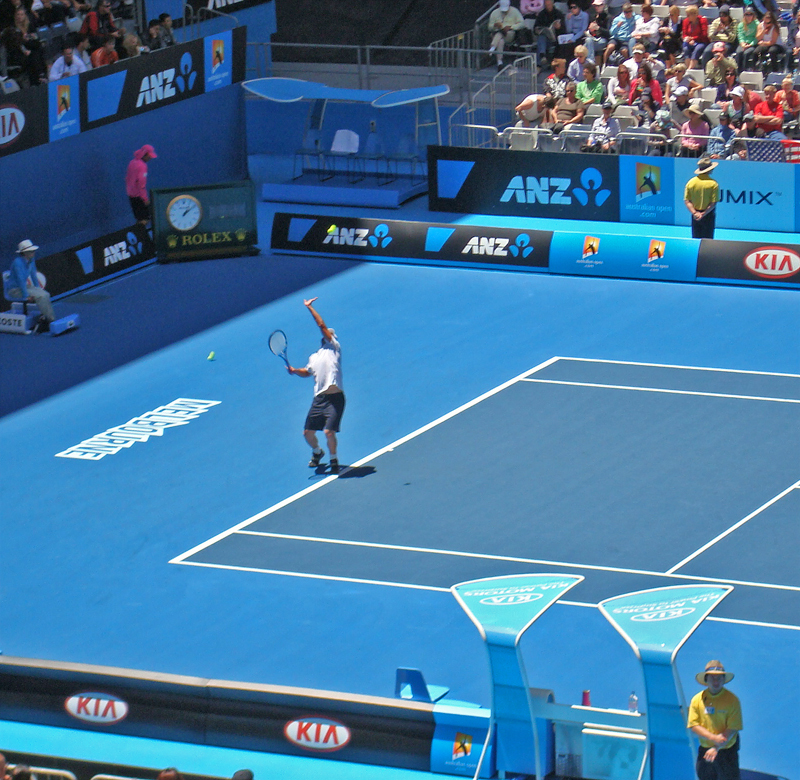 The second match I watched at the 2010 Australian Open was a first round match between the number seven seed Andy Roddick (pictured above, on the left) from the U.S. and unseeded Thiemo de Bakker (pictured above, on the right) from the Netherlands. I was actually really torn over who to root for as I watched this match, since I’m American, but I had just spent the last nearly seven years living in the Netherlands. I cheered for de Bakker (pictured above after a first-serve fault), figuring that Roddick had more than enough fans to encourage him. Unfortunately, de Bakker (which in English means the baker) lost, but he put up a good fight, and I think he’ll be back again soon. 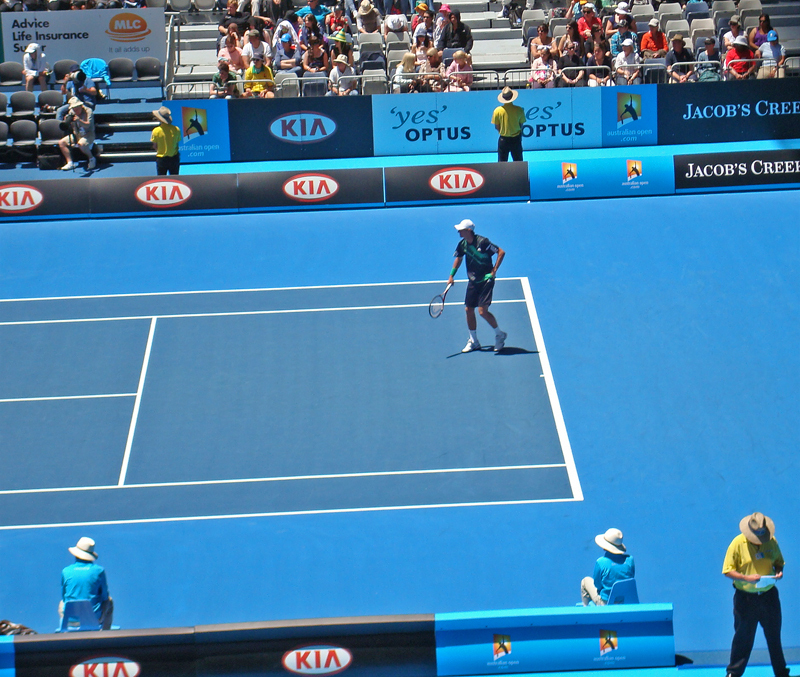 Roddick (pictured above, mid-serve) won the match (6-1, 6-4, 6-4), and he went on to defeat Thomaz Bellucci of Brazil, Feliciano Lopez of Spain and the 11th seed Fernando Gonzalez of Chile before losing in the quarterfinals to the 14th seed Marin Cilic of Croatia. I took these photos in the HiSense Arena in Melbourne, Australia in January 2010. 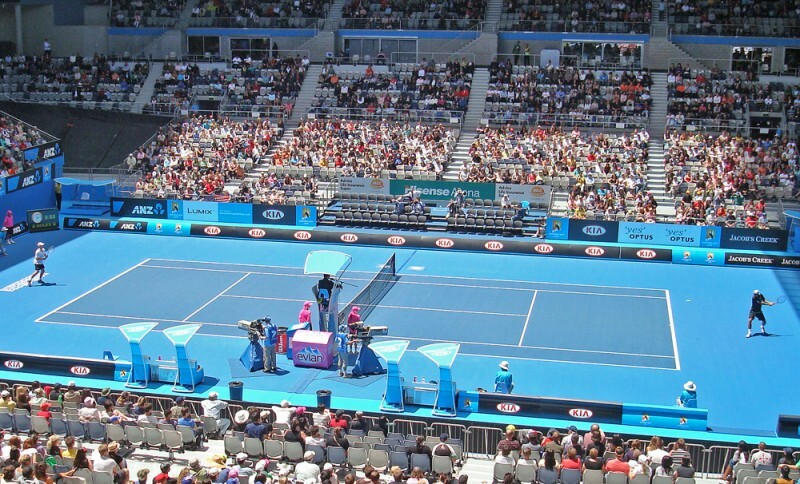 30 Jan This entry was written by Kathy Keating, posted on January 30, 2010 at 4:10 pm, filed under Australia, Events, People and tagged andy roddick, Australia, australian open, kathy keating, melbourne, tennis, thiemo de bakker, victoria. Bookmark the permalink. Follow any comments here with the RSS feed for this post. Both comments and trackbacks are currently closed.